How can a parent know if the time is right to seek help for difficulty in school? 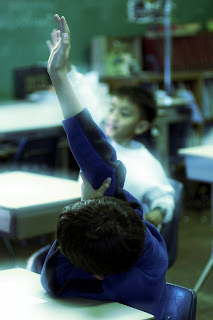 The honest answer is that every child (and every situation) is different, but if you are having significant or persistent concerns about a student, no matter their age, academic level, or context, we strongly recommend speaking with a qualified professional to ensure that your child is receiving the appropriate support he or she may need to excel in their educational pursuits. Sometimes, it can be important to seek help from professionals working independently of your child's school if you have concerns that the school is not meeting your child's needs, and especially if faculty and administrators do not share your level of concern. The Yellin Center has compiled a list of ten signs parents and educators should be on the lookout for in students who are experiencing some difficulty in their day to day school or home lives. If more than a handful of these statements are accurate depictions of a student in your life, Dr. Yellin recommends you seek out professional care.